Home / Bengal / Former Kolkata mayor Sovan Chatterjee, friend Baisakhi Banerjee to join BJP? Efforts are on by the West Bengal BJP to rope in former KMC mayor and Trinamool Congress MLA Sovan Chatterjee and his close confidante Baisakhi Banerjee. A few rounds of meetings have already been held between Banerjee and BJP leaders for inducting them in the party, BJP sources said. The sources said the picture would be clear soon. The plan is to field Banerjee against Chief Minister Mamata Banerjee’s nephew MP Avishek Banerjee from the Diamond Harbour seat in the upcoming 2019 Lok Sabha elections. It has been learnt that a series of meetings has taken place between Baisakhi and senior BJP leaders. BJP national secretary and West Bengal observer Kailash Vijayvargiya may speak to Banerjee regarding this. Earlier, Vijayvargiya and senior BJP central leader Arvind Menon also held a confidential meeting with Baisakhi on Tuesday but no decision was taken by her regarding joining the BJP. The RSS leadership was reportedly not in favour of the inclusion of Baisakhi into the BJP, but they later changed their mind, the sources said. A meeting was also held between RSS leaders and BJP senior leaders to discuss the matter of Mrs Banerjee’s joining the party and saffron party leaders were able to convince RSS leaders to induct Baisakhi to field her for Diamond Harbour Lok Sabha constituency. State BJP election management committee convenor and senior leader Mukul Roy admitted that he contacted Baisakhi Banerjee and Sovan Chatterjee for roping them into the BJP. Sources said Roy had been asked by BJP national president Amit Shah to contact Baisakhi. 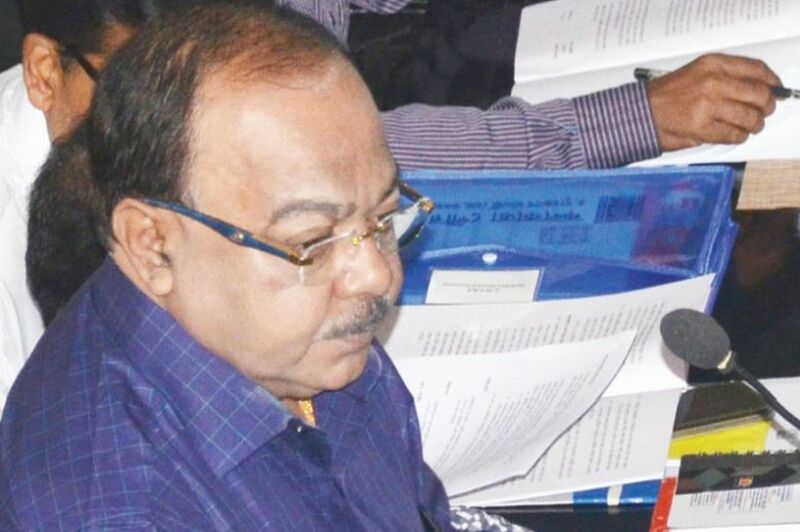 Earlier, Sovan Chatterjee tendered his resignation as the state fire and housing minister and later resigned from his post as KMC mayor. After Mr Chatterjee tendered his resignation, chief minister Mamata Banerjee had asked him to also resign from his post as KMC mayor. After Sovan’s resignation, his estranged wife said it is sad to see this man, who used to work day and night to fulfill his responsibilities as minister, is now careless enough to forget his duties and is running away from them due to obnoxious reasons and controversial issues. “I want to know which obsession of his led to his downfall,” Mrs Chatterjee had said then.